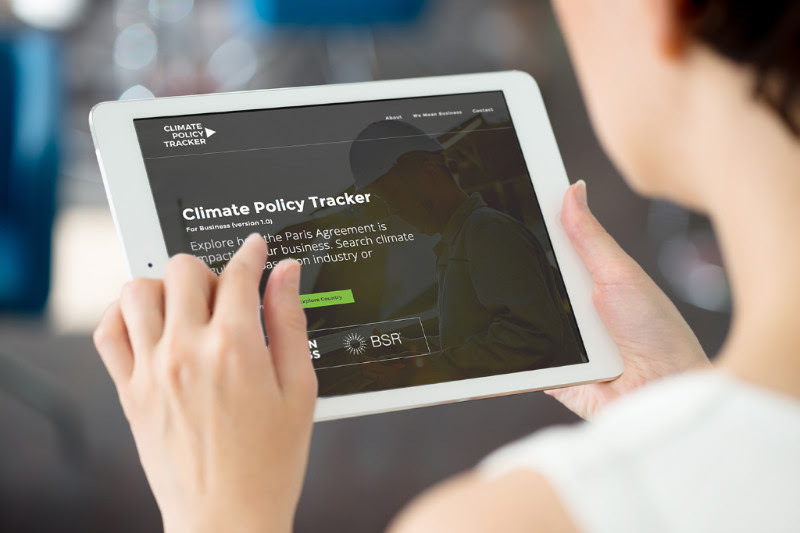 The We Mean Business coalition introduces The Climate Policy Tracker—a freely available online platform designed to help businesses determine which climate policies are relevant to them across key regions and sectors. Today, we are excited to introduce the Climate Policy Tracker, an online tool led by We Mean Business coalition partner BSR, which is intended to help businesses realize the immense benefits of embracing a low-carbon future by providing up-to-date information on the landscape of climate regulation. Nationally Determined Contributions—the climate action plans individual countries have articulated to realize the Paris vision—are currently being implemented at scale, transforming the regulatory landscape that businesses operate in, sector by sector. According to a recent study from the London School of Economics, up to 47 new laws have been ratified around the globe since the Paris Agreement was adopted. Now is a defining moment for companies to embrace the transition to the low-carbon economy. Businesses that effectively prepare for these new policies and sustainable investment opportunities will be in a better position to seize the benefits of the transition. These include innovation, risk management, competitiveness, and growth—opportunities that, as Morgan Stanley noted in a recent blog post, could amount to US$10 trillion annually by 2050. Not only are policymakers actively working to address the threat of climate change through new laws, for example, that would phase out fossil fuel-powered vehicles, but we are also seeing companies respond to this clear policy direction. For example, just last month, GM announced plans to launch 20 new electric vehicles by 2023—plans that are aligned with new regulations to promote a shift to electric vehicles in countries like India and the U.K. Accurate and up-to-date information on climate policy can help inform corporate strategy and investment decisions. Moreover, this information can help to demonstrate the need for corporate climate action to key stakeholders, including investors, board members, and employees. The tool can also simplify a potentially complex process. Businesses can quickly identify regulations relevant to their operations and supply chains and recognize critical differences between geographies and sectors that are vital to factor into low-carbon strategies. The tracker currently includes 120 policies from nine geographies—China, the United States, EU, India, Japan, South Korea, Brazil, South Africa, and the U.K. Moving forward, more countries will be added to the tool, as will information on policies in cities, states, and regions. By highlighting relevant climate regulation, the tracker points businesses to how they can practically respond through commitments from the We Mean Business coalition’s Take Action campaign. Forward-looking companies are responding to the challenges that climate change presents with ever-more-ambitious plans to reduce their greenhouse gas emissions across their value chains. To date, over 620 companies have committed to climate action via the Take Action campaign, including some 130 industrial companies, over 40 utilities, and three of the world’s largest consumer goods companies: Nestlé, Procter & Gamble, and Unilever. Together, these companies have committed to cut some 2.31 gigatons of Scope 1 and 2 greenhouse gas emissions—a reduction that would be equivalent to the total annual emissions of Russia. As the scale and ambition of climate policies increase, forward-looking companies can utilize the Climate Policy Tracker to stay ahead of the curve. By embracing and acting on climate policy in this way, businesses are demonstrating their abilities to future-proof their operations and their active support for the Paris vision. 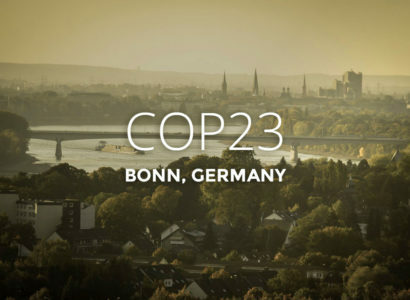 Learn more about the Climate Policy Tracker for business. BSR Climate Director David Wei looks at how the business community is steadily building the Paris vision of a resilient, low-carbon economy.